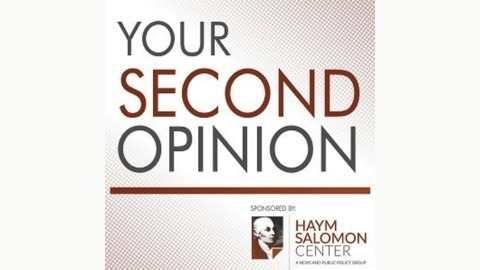 Your Second Opinion is the podcast for Salomon Center. The Haym Salomon Center is a 21st century education group that reports the news and offers analysis traditional media outlets often ignore. The Haym Salomon Center is dedicated to exposing the plight of the oppressed, violations of religious and personal freedom, and hatred in all forms. 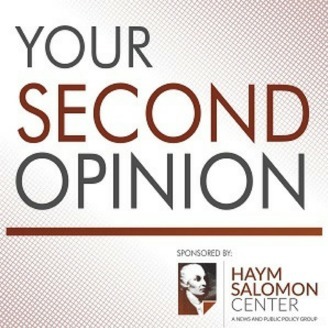 In this episode of Your Second Opinion, Tammi Rossman-Benjamin joins the Haym Salomon Center podcast host Mike Siegel to discuss anti-Semitism on American college campuses today. Ms. Rossman-Benjamin is the director and co-founder of AMCHA Initiative and a professor at the University of California of Hebrew and Jewish Studies. She has done a vast amount of work to protect Jewish college students at American universities. This episode seeks to bring awareness about the AMCHA Initiative's mission to investigate and combat anti-Semitism on college campuses throughout the United States. After listening to this episode, you will have a greater understanding of the challenges that Jewish college students face today. Biography: Tammi Rossman-Benjamin is a University of California faculty member and the cofounder and director of AMCHA Initiative. Rossman-Benjamin has written articles about academic anti-Zionism and anti-Semitism and lectured widely on the growing threat to the safety of Jewish students on college campuses. Most recently she led a coalition of nearly 50 Jewish and education advocacy groups that successfully lobbied the University of California (UC), the nation’s largest and most prestigious public university, to condemn “anti-Semitism and anti-Semitic forms of anti-Zionism.” UC is the first U.S. university to adopt this landmark intolerance policy to protect Jewish students. Rossman-Benjamin was nominated for Jewish Hero of the Year by the Jewish Federation of North America in 2011, was named one of 2013’s Bright Pro-Israel Lights on U.S. Campuses by the Jewish Press and was recently honored as one of the “Jewish Top 100” by The Algemeiner. Articles and opinion pieces from Rossman-Benjamin have been published in Newsweek, The Hill, New York Daily News, Los Angeles Daily News, San Jose Mercury News, Sacramento Bee, Contra Costa Times, Jewish Journal of Los Angeles, The Algemeiner, American Thinker, Jewish Voice, and Jewish Post & Opinion, and by news services including the Jewish Telegraphic Agency (JTA) and Jewish News Service (JNS).